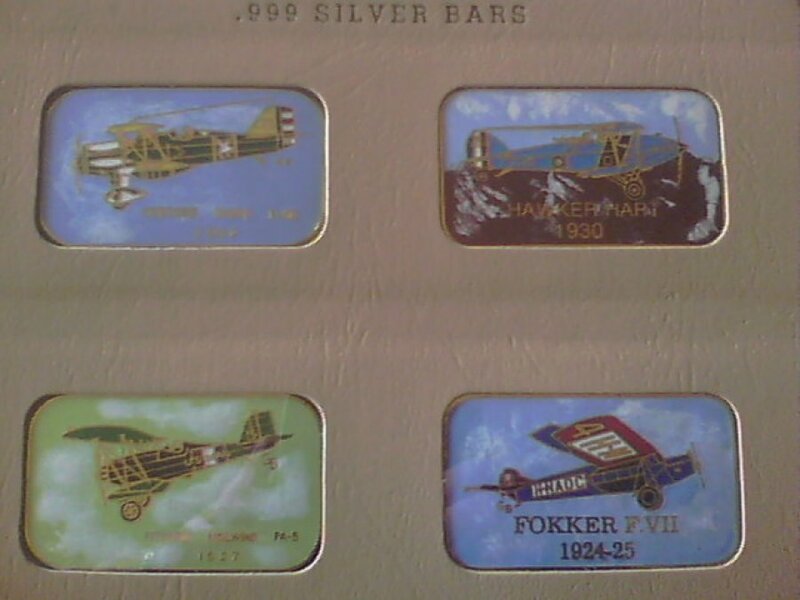 What's 'enameled bar airplane' Worth? I have this set of enameled bars, I am wondering if any one knows the value, the mint and the composition of the bars. Someone told me it was the BH Mayers mint, however they are not hallmarked in any way. Posting on e-bay states they are bronze, another listing said brass. Anyone have any info? Thanks for any help you can give me.